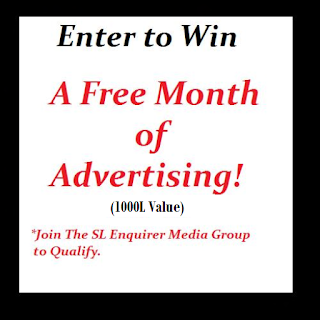 The SL Enquirer is Giving Away Free Advertising for the Month of June- Enter the drawing for a chance to win! 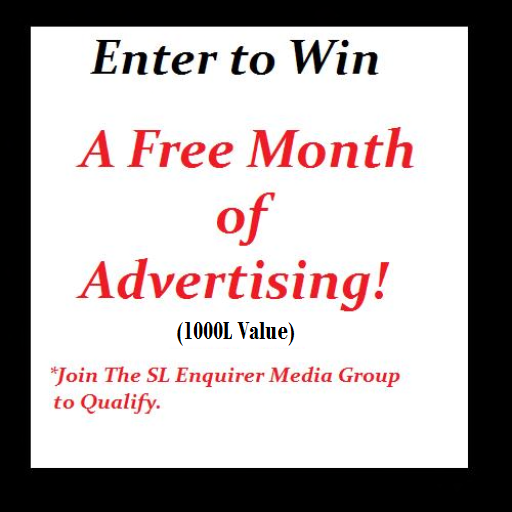 This Month The SL Enquirer is giving away one month of advertising, each week for the month of June! To qualify, you must join the SL Enquirer Media Group. If you are a member, All you have to do is visit the SL Enquirer Media Center and touch the drawing jar and your in it for a chance to win some advertising!